A vigilante drug squad tackles a heroin epidemic in northern Myanmar’s jade mines, conducting door-to-door raids and forcibly detaining drug users in make-shift rehab centres. 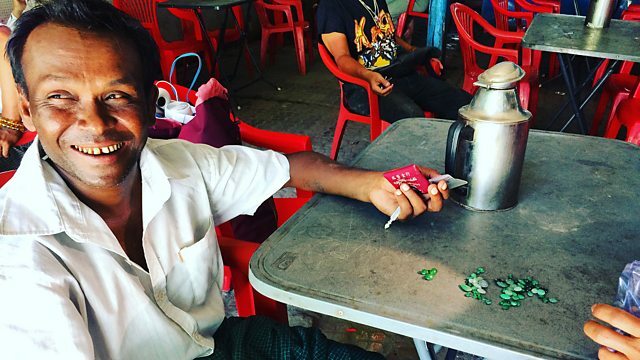 Myanmar’s northernmost state is in the grip of a heroin epidemic. Nicola Kelly travels to Kachin State to meet those affected - and those who seek to benefit - from the crisis. With the situation rapidly worsening, a vigilante squad is taking matters into its own hands, bringing the ‘people’s war on drugs’ to the streets. But amid the drug crisis, Myanmar’s military elites and business tycoons are reaping the benefit. In the nearby jade mines, business owners are using heroin as a currency to pay their staff in return for round-the-clock work, fuelling the epidemic and knowingly leading its young people into an early grave. Nicola meets the jade miners forcibly detained in make-shift rehab centres, the mine owners and the gang leaders and asks why more is not being done to contain an epidemic that’s tearing the state’s social fabric apart.